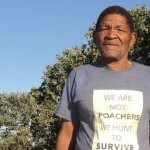 Africa’s last hunting Bushmen have given formal notice of their intention to sue the Botswana government over its “unlawful and unconstitutional” attempts to starve them off their ancestral land in the Central Kalahari Game Reserve. The Bushmen rely on subsistence hunting to feed their families but face harassment, torture and arrest when found hunting for survival. Earlier this year, the Botswana government issued a nationwide ban on hunting without notifying the Kalahari Bushmen or offering any compensation. This is the fourth time the Bushmen have been forced to resort to legal action against the government in their desperate wish to live in peace on their land. 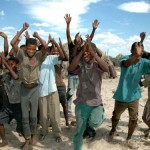 In a landmark victory in 2006, Botswana’s High Court ruled that the Bushmen have the right to live, and hunt, in the Central Kalahari Game Reserve. Despite the High Court ruling, not a single hunting license has been issued to the Bushmen living inside the Central Kalahari Game Reserve. Ironically, wealthy trophy hunters are exempt from the ban and continue to legally hunt giraffes and zebras on private ranches. President Ian Khama, who sits on the board of Conservation International, claims the move is to protect the diminishing wildlife numbers in Botswana. 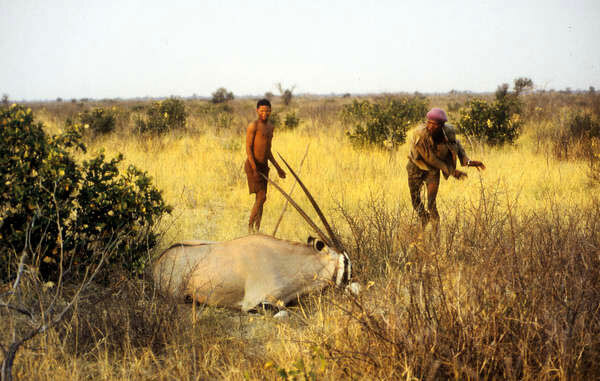 But tribal peoples like the Bushmen are better at looking after their environment than anyone else. 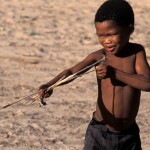 They are the best conservationists of their lands, and the Bushmen’s methods of subsistence hunting with spears, bows and arrows pose no threat to the wildlife of the Central Kalahari Game Reserve. Earlier this year, Bushman spokesperson Jumanda Gakelebone traveled to London to ask for Prince Charles’s support against the hunting ban. 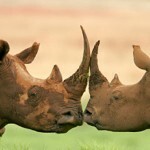 The Prince of Wales has backed a new anti-poaching campaign by United for Wildlife, a coalition of conservation organizations including WWF, Conservation International and The Nature Conservancy, and supported by President Khama. Many large conservation organizations fail to distinguish between illegal poachers and tribal peoples hunting for their livelihood – tribesmen are accused of “poaching” because they hunt their food. And they face arrest and beatings, torture and death, while fee-paying big game hunters are encouraged. The government continues to harass and persecute the Bushmen and last year even barred the Bushmen’s long-standing lawyer Gordon Bennett from entering the country to represent his clients. Bennett successfully led three cases for the Bushmen against the government.